Everything has an expiration date. Even we have expiration dates, unknown and hopefully distant in the future. The impermanence of all things is driven home to every chef, watching food be produced, devoured, and reproduced daily. And we all learn about the Health Department’s requirements for prepared food expiration, which is generally 7 days. To the home cook though, expiration dates can sometimes be a mystery. Some particularly thrifty people insist that expiration dates on products don’t even matter and can just be disregarded, as if they were some plot by someone to make money or trick people. Still others believe that anything past its expiration date is poison. The truth lies somewhere in-between. Why Does Food Have Expiration Dates? Expiration dates help cover companies if someone eats or drinks an old product and gets sick, which can happen, though it isn’t altogether likely. A sell by date is similar, it’s the date that a store should get rid of product to make room for new products, since the products they have may not last much longer. A sell by date is a good guide that you should use something up, but doesn’t necessarily mean it will be bad. 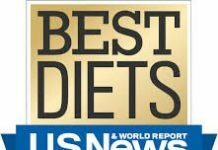 What can happen to you if you eat expired food? In all likelihood, nothing. But it is possible to get food poisoning, particularly from certain types of foods. 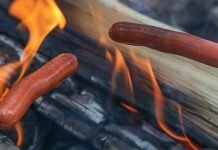 A lot of people misunderstand food poisoning – it isn’t just an upset stomach, it tends to be much more severe, and the onset of symptoms can take from 1 day to 3, so its hard to tell where you got it from. 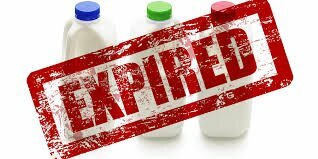 Still, it can mean days of misery and possibly a hospital stay, so here’s how to stay safe and understand expiration dates to avoid it. Expired canned foods can be really bad. They’re all at room temperature and contain plenty of liquid, so if the can rusts or loses its seal, these can get real bad real fast. Judge partly by how the can looks. If the expiration date wasn’t too long ago and the can looks OK you should be fine, but if its been expired for some time or looks weird, toss it out. Canned fruits or sauces, or acidic foods like tomato paste, will generally last longer. The expiration date on milk, yogurt, etc is important to keep in mind. Most yogurt is so strongly flavored its hard to tell if its bad, but I would avoid expired yogurt. Milk, well, we all know the smell test. Just because its past the sell by date, doesn’t mean it’s bad though – you generally have about a week depending on conditions, how long ago it was opened, and how cool its been kept. Butter will last the longest. Cheese is iffy, with harder cheeses being able to last longer. These font really have an expiration date, but you can tell when they’re bad as they go soft. Potatoes in particular are bad for this and often go unnoticed. No one wants to open a cupboard to find moldy potatoes, so check them often and keep them in a cool, dry place. Beans can go bad, particularly if exposed to air. Bad beans will never get tender no matter how long you cook them and this can cause indigestion. Flour generally doesn’t go bad, but it can get moisture or bugs in it, so its a good idea to keep it in a solid sealed jar and to use it up within 6-7 months or so. 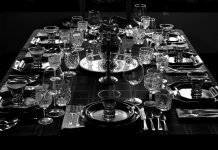 Previous articleHow To Choose The Best Recipes For A Dinner Party?